When it comes to buying furniture, sometimes newer isn’t always better. Besides the more budget-friendly aspect of most secondhand furniture, shopping for used or vintage pieces is a great way to find one-of-a-kind items not necessarily available at big-box retailers. That said, there’s a difference between old-school charm and plain old junk. Both when selling and buying, there are certain things to keep in mind to ensure you get the most for your money — which is why we asked an expert to share her top tips. Anna Brockway is one of the cofounders of Chairish, an online marketplace for vintage furniture and decor specializing in highly curated finds. And she practices what she preaches too: “I always think it’s better to shop vintage because it usually costs 70 to 80 percent less, is better made and [is] just generally cooler than something new,” says Brockway. Given that she’s been working with reclaimed home goods since the company’s founding in 2013, we figured there’s no one better to shed a little light on what to look for — and what to avoid — when buying and selling used furniture. On determining the value of an item before selling: "Several factors contribute to the value of a piece: brand, age, style, rarity and condition. I suggest doing your homework with a quick online search to get a sense of the range — also, consider your desired timeline and establish deadlines for price reductions. If you’re not getting any interest after a week or so, reduce the price, or if you want to see it gone swiftly, price it to move from the get-go." On the furniture that should be tossed instead of resold: "Obviously, I’m a big proponent of buying vintage, but there are some 'cheap and cheerful' furniture brands whose items are not built for the long haul. Also, mattresses are a no-go." On the red flags for buying used furniture: "I recommend that you check the item’s condition carefully. Some patina brings character to a piece, but big gouges, broken frames, poor joinery and missing parts are mostly not repairable. Also, do make sure there is a return policy in place if you are buying online." On the importance of photography in selling your used furniture: "We always tell our sellers to take high-quality photos with good lighting and write a thorough description. The more information you can give the prospective buyers, the more comfortable and confident they’ll feel purchasing your piece. Transparency is everything!" On the one thing you should never forget to do before shopping: "For buying, especially online, make sure you’ve got the right measurements. There’s nothing worse than falling in love with a piece and being disappointed that something is too big or too small for your space." On finding the best deal and when to negotiate: "If you shop vintage (or as they say, 'pre-loved') and you’re looking to score a great deal, I always recommend making an offer. You can always go back and buy an item at the listed price, but I find most sellers are willing to negotiate, typically between 10 to 20 percent off their stated price. In the vintage world, it is perfectly polite to ask a seller, 'What’s your best price?' — just be prepared for an honest answer." Now that you’re armed with the information you need, here are some of our favorite marketplaces to check out for buying and selling used furniture. We mentioned the highly curated finds available via Chairish earlier, and that’s truly what distinguishes this company from others. Literally everything on the site is preapproved by the team, so there’s a certain threshold of quality that’s expected from every seller that buyers — particularly skeptical ones — are sure to appreciate. Chairish continues to be involved in the entire process, organizing the shipping and staying in touch with the buyer post-purchase to see if they want to return it (if they do, they have two days before the seller is actually paid). There’s even an augmented reality app customers can use to test out the product in real life — or as close to real life as you can get — and a value-determining feature known as the Chairish Pink Book. The fine print: All items must have a minimum listing price of $25. This service will take care of everything from start to finish, meaning you don’t have to worry about trekking to an unknown sketchy location and handing over cash to a stranger. Like Chairish, AptDeco prearranges pickup and delivery, and buyers are only charged when the furniture is actually delivered. Unlike Chairish, there is no minimum listing price, meaning you really find the broadest range of items on the site, from high-end leather sofas to cheaper West Elm futons. And not only is posting your used item free, but AptDeco will enhance your listing by adding in extra details and improving your photography; it’s like getting an advertiser and a retail partner all in one. The fine print: AptDeco is currently only available in New York and New Jersey, though it’s slated to open shop in Boston and Philadelphia soon. Craigslist has to be included — it was the first of its kind! And is still a great option; you’ll just have to dig for bargains. Craigslist’s upper hand is in the sheer volume of products available. Yes, you can find used furniture, but you can also find an office to house that furniture as well as art pieces with which to decorate. If you’re selling, be sure to include as many clear, well-lit images as possible, and if you’re buying, be sure you ask questions before agreeing to meet. The fine print: You’ll need to arrange pickup on your own. For safety reasons, make sure to bring a friend along with you and try to arrange a meeting in a public place. This marketplace is unlike any other. Everything But The House specializes in estate sales. Don’t waste time at auction houses — if you’re the kind of person who frequents auction houses — when you can simply shop online. Search by city, price and type of item, and have fun hunting around for hidden gems. Inspired by the Cincinnati antiques market and founded by seasoned vintage sellers, EBTH is a treasure trove of secondhand pieces. The selling process is extremely well-guided too: Start with a free consultation on the item(s) you want to get rid of, then work with the company’s team of experts to catalog, photograph and write product descriptions for each article. The fine print: Move quickly — the sales are timed. This one’s a bit different, as it’s primarily an app, though the online store is just as extensive. Letgo is definitely one of the more seller-friendly brands on this list: Unlike most other secondhand marketplaces, the company doesn’t take a percentage of users’ sales. There’s a pro tips section to help sellers get rid of their products faster, and the app doesn’t charge for listings. It’s easy to use too, as Letgo uses artificial intelligence and image recognition to automatically title and categorize the piece you’re selling so all you have to do is take a photo. The fine print: Letgo works best for local transactions because, as the company doesn’t handle money, you run the risk of not getting paid if you ship your product. If you’ve got a slightly higher-end taste in secondhand furniture, Viyet is the marketplace for you. Marketed as the online destination for designer preowned furniture, this is the place to go for upscale pieces at a significantly lower price. Seriously, you can score deals up to 80 percent off the retail price. Viyet works with individuals, interior designers and showrooms, vetting each and every item personally to guarantee authenticity. It’s also super-interior designer-friendly, offering a program that specifically caters to trade buyers and sellers so that they can find the best pieces for their clients. The fine print: The designer tagline comes with some restrictions. 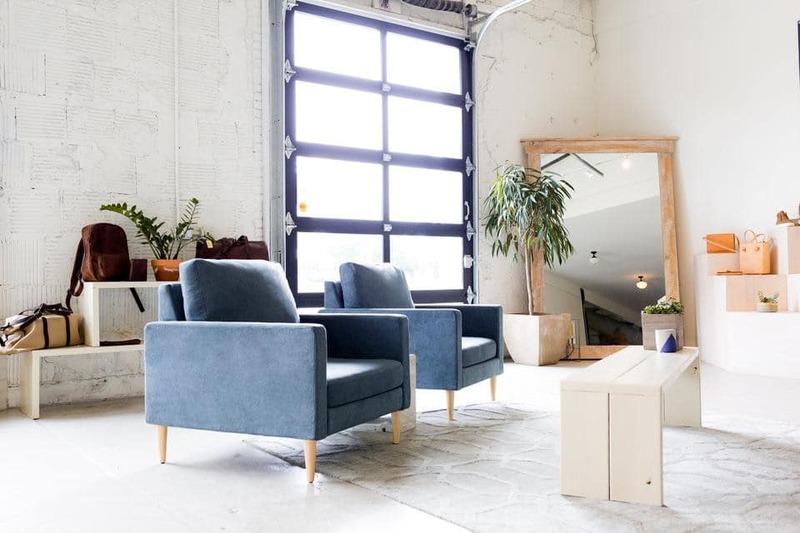 There is a minimum retail price for furniture ($1,000), lighting ($500) and accessories ($100), and Viyet explicitly states that it doesn’t accept brands like Ikea, Crate & Barrel, Ethan Allen and West Elm. Another popular selling app, OfferUp, aims to combine the convenience of Craigslist with a bunch of added safety features — after all, why trek through sketchy neighborhoods when you don’t need to, right? Deemed one of the safest ways to sell locally, the app aims to directly connect you with buyers or sellers through the app and chat with them about what you’re offering. This offers full transparency, as all transactions are reviewed on the site, and you can arrange pickup and drop-off in the way that works best for you. 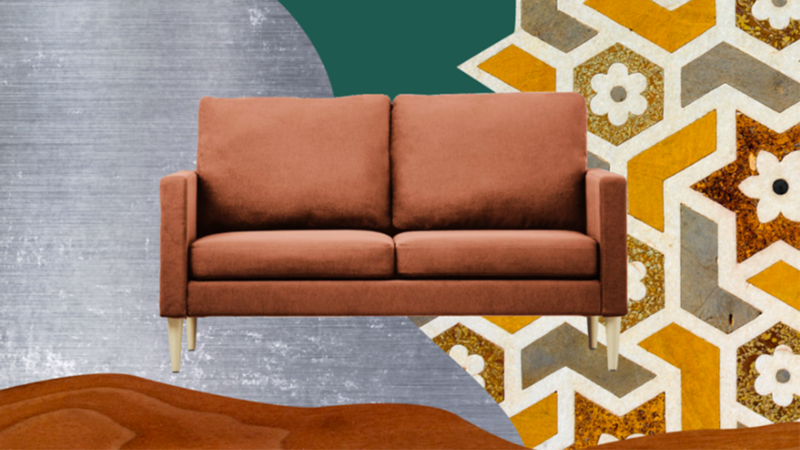 Take it from Domino editor Alyssa Clough, who recently used the app to sell her sofa: “I live alone, so selling furniture often feels like a safety issue for me," she says. "I really loved using OfferUp for two reasons: 1) because you can upload a 'profile picture' so you know who you're corresponding with, and 2) because they have a chat feature in-app so you never have to exchange phone numbers — all your correspondence can stay in the app. It was easy to list and chat with potential buyers. I would really recommend it to anyone who's looking for a safe, secure exchange." The fine print: You get full control of pricing and have direct conversations with potential buyers, but still always be sure to take precautions and have someone with you when you’re making your exchange. Available right in your Facebook account, Marketplace is meant to be used as traditional shopping sites are — but with a social media twist. List your item in the appropriate section of the site, and wait until someone direct messages you about it. You’ll then be able to coordinate pickup, payment and other details accordingly. Not just aimed at home decor, Marketplace offerings span everything from electronics to books, but we think it’s perfect for getting rid of that old desk you swore you’d use but never did. The fine print: As Facebook doesn’t coordinate payment or selling, there’s no guarantee of anything — but since people are using their social media profiles to communicate, it’s safer than, say, Craigslist. If you’re moving immediately and seriously can’t wait until someone comes along to take your furniture off your hands, Furnishare just might be the option for you. It requires almost no effort, save from you listing your product on the website. After that, Furnishare reviews your product within literally one business day and contacts you to arrange pickup. Then, just relax: Furnishare will work to sell your item for the best possible price, and once sold, will contact you so you can grab your portion of the profits (usually up to 40 percent). You can sell multiple items and cash out for a check delivered to your home address whenever your balance is above $0. The fine print: Certain items, like mattresses and disassembled items, are not permitted, and you can’t determine how much you’re selling your item for — that’s Furnishare’s call.